Thank you again for your email dated 12 Jan 2016 regarding the use of LFG. You may well understand that LFG is generated as a result of physical, chemical and microbial processes that undergo within the waste cells of the landfill. The processes and hence the generation rate would vary from time to time according to different waste intake history, environmental conditions (e.g. temperature, extent of leachate circulation), and configurations of the landfill site (e.g. landfill depth and thickness of cover material), etc. It is noted that the LFG generation at local landfills has been relatively steady over the past few years. In any case, we have been closely monitoring the management of the landfills to ensure landfill operations are in accordance with stringent environmental standards. As you have already noted that it is a government policy to encourage utilization of LFG recovered from the landfill sites. Apart from on-site utilization at all three strategic landfills, there have been arrangements for off-site utilization at NENT and SENT landfills. In order to make best use of the LFG recovered, EPD has been working closely with the landfill contractor of WENT Landfill in exploring and identifying various practicable beneficial use of surplus LFG recovered at the landfill site. As part of our on-going effort, we have taken the liberty to pass on the information of overseas experience in your email to the contractor for reference/consideration. 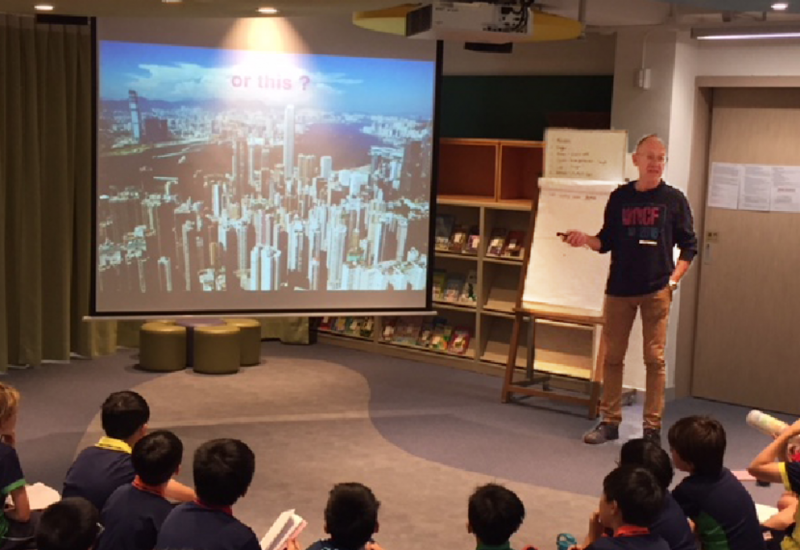 May I thank you again for your interest in the Hong Kong environment, which is very much appreciated and important for the continual enhancement of our local environment. could be made of the gas ? For example I note that companies like SITA promote liquid biomethane from landfill gas in UK and Europe – why not here too ? ‘Building more landfills never an option’ shows the total lack of understanding of many HK people about incineration. 30% by weight of what is incinerated remains as ash, that has to be landfilled, ad infinitum. Moreover about 10% of that ash is highly toxic fly ash that has to be encased in cement. HK food waste 3600 m3 per day is ultra wet 90% water content with a calorific value less than 2Mj/kg whereas you need 7 Mj/kg for combustion. Our daft Govt intends to burn the food waste, meaning accelerant needs to be added making incinerators a waste of energy , not waste 2 energy facility. Using German test data, burning 1 kg of MSW releases 1kg – 1.2kg of CO2 into the atmosphere, as well as other toxic RSP’s. Interesting that the Environment chief expects to reduce CO2 emissions here on the one hand whilst intending to increase them on the other. Incineration requires the MSW contacts the flame for at least 2 seconds at 850 deg C – if the waste is wet the burn temperature has to be increased or dioxins can & do form. We have no source separation of waste legislation, we have no Zero Waste policy, Mass burn mixes batteries & plastics, it is impossible to recycle items tainted by food waste. Our sewer system has such capacity that Stonecutters could handle & treat our daily food slops if industrially garburated in a matter of minutes, a fact supported by CIWEM UK but conveniently ignored by local blinkered ENB officials. The time may have come to put the conventional gas-guzzling car in the garage and replace it with a compact electric vehicle. With fuel prices in a state of flux and our environmental vandalism becoming ever more apparent, demand for electric vehicles, or EVs, is increasing. Hong Kong can be proud in the knowledge that a locally developed EV is attempting to lead the charge for clean-fuel microcars overseas, starting in Europe. The conservatively branded MyCar is an electric microcar – defined as a small, fuel-efficient car, powered by petrol engines of up to 700cc or electricity – manufactured by Kwai Chung-based EuAuto Technology, with funding from the Hong Kong government. The MyCar was unveiled in Britain in January with a sticker price of £8,995 (HK$99,824). It comes in seven colours including pearl white and metallic green. The two-seater EV, made from fibreglass-reinforced plastic body panels, has a maximum speed of 64km/h and can travel 112km on a full charge. It takes six to eight hours to completely power the car. EuAuto chief executive Chung Sin-ling says the MyCar should appeal to eco-conscious Britain, which has so far built a network of 73 public battery-charging stations, mostly in London. Owners who join the EV Network (www.ev-network.org.uk/) can charge their cars at the homes of other members. The vehicle’s top speed might seem slow but it should be enough for London motorists, who drive at an average speed of 16km/h – about 3km/h slower than horse-drawn carriages travelled in Edwardian times. Precisely because a microcar cannot hurtle around at high speeds, the accident rate is half that of standard cars, says Chung, who estimates microcar insurance and running costs should be about 25 per cent lower the conventional vehicles. Better yet, the MyCar is exempt from road tax as well as central London’s £8 daily congestion charge. In addition, in designated areas of the city, the typical £4-per-hour parking fee is being waived for EVs. “We expect to get some very good sales over the next few months,” says Chung, noting the MyCar’s low running costs, zero carbon emissions and convenience for short-distance travel. Unfortunately, the British MyCar launch ran into the heaviest snowfalls the country has seen in 18 years and the vehicle has so far registered only four sales. EuAuto’s MyCar initiative was originally funded by Hong Kong’s Innovation and Technology Commission. The microcar’s driving system was co-developed with the Electrical and Electronic Engineering Department of the Hong Kong Polytechnic University, while its initial design is credited to Italian car designer Giorgetto Giugiaro. Lee Tak-chi, a professor at Polytechnic University’s School of Design, was involved in the design of the prototype, introduced at the 2003 Bologna Motor Show, in Italy. Peter Sun, chairman of EuAuto, points out that the MyCar’s future plans include a coupe, a four-seater and a pick-up. Chung says the target markets for MyCar do not include Hong Kong – not because of safety issues but because “there is no such thing as a microcar in Hong Kong”. In other words, there is no classification that covers such a vehicle and would allow for its licensing. The usual snag with EVs is that they handle badly but Chung describes the MyCar – which weighs 726kg with batteries – as “very stable” and capable of turning in a tight circle. The car measures 2.6 metres by 1.4 metres by 1.4 metres with a ground clearance of 12cm. Its maximum load is 200kg. The MyCar also needs minimal upkeep. “Besides its four-battery pack, there is nothing else that needs maintenance,” says Chung, adding that the car’s Italian-made parts should last a long time because they are made from the highest quality materials. It also has electric windows and central locking. There is, however, some uncertainty over the MyCar’s battery. Currently made of lead-absorbent glass mat cells, it will be upgraded to lithium. The change will probably increase both the vehicle’s mileage and the cost of the battery. Early last century, American industrialist Henry Ford, father of the modern assembly line, teamed up with inventor Thomas Edison on a doomed mission to introduce an EV to the market. Interest in electric vehicles was rekindled in the late 1960s and again in the 70s, following the Arab oil embargo. Innovation consultant Jeff Lindsay paints a bright future for the MyCar, which he describes as “impressively styled”. “It may be a compelling vehicle for urban dwellers, who rarely need to exceed 64km/h,” says Lindsay, adding that a microcar that can deliver basic performance and convenience should do well in today’s market. He warns, however, that pricing is critical and urges MyCar’s makers to publish their safety test results. Europe is only a starting point for the MyCar, Chung says. Future plans include selling the EV in Asia, including in Greater China. She intends to lobby the Hong Kong government to change transport regulations, paving the way for the MyCar’s entry into its home market. 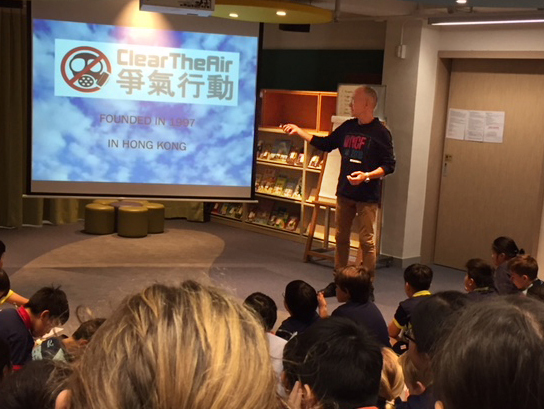 Christian Masset, chairman of anti-pollution group Clear the Air, says EVs such as the MyCar should be introduced on to Hong Kong streets. “It would improve roadside air quality at no cost,” says Masset. Additional reporting by Bien Perez. China Light & Power (CLP) generated 23% of its output in 2007 by burning 2.5 billion m3of gas. HKE generated 17% of its output in 2007 by gas. How can we now immediately and drastically reduce PM 2.5 levels and clean our filthy air ? It is by the use of agglomerators – the technology exists it is proven largely in Australia , USA and Poland; CLP would have to install 2 agglomerators per boilers that means 16 in total (15 more to install). Six green groups have accused the government of not doing enough to curb greenhouse gas emissions, saying the new scheme of control will not force power companies into line. Staging a protest at the Environment Bureau yesterday, members of the alliance urged authorities to cap carbon dioxide emissions for power plants and deduct their profits if the targets are not met. The groups are angry that the government only regulates emissions of sulfur dioxide, nitrogen dioxide and respirable suspended particulates, but not the chief greenhouse gas, carbon dioxide . “While countries around the world are actively fighting global warming, the SAR government simply allows carbon dioxide emissions to damage the climate without regulation. The government should not shirk its responsibility,” Greenpeace climate and energy campaigner Frances Yeung Hoi-shan said. The alliance also wants a new scheme of control to set targets to reduce energy consumption and sanctions imposed if the power firms fail to meet the targets. “Energy saving is the most cost- effective means to control greenhouse gas emissions and improve air quality. However, the government has suggested offering incentives to power plants to improve energy saving and demand-side management which, however, are not compulsory and only serve as foil,” Yeung said. 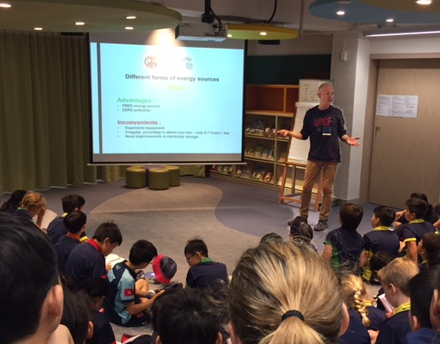 The groups included Friends of the Earth, Greeners Action, Green Sense, WWF Hong Kong and Clear the Air, along with Carbon Dioxide Foundlings.